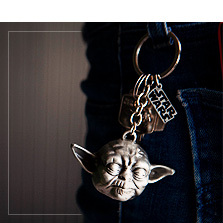 If like Yoda you are one of those who backwards speaks, or if you have called your child Lucas, if a lack of faith is annoying to you, or if you would prefer to kiss a wookie before a blind date...you deserve one of our Star Wars gifts. 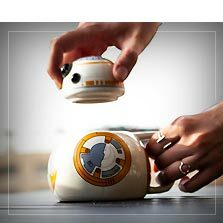 We have the biggest Star Wars merchandise collection on this side of the outer rim of the galaxy. 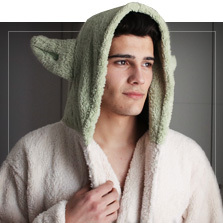 At Funidelia you will find the geekiest and most original Star Wars shirts with characters from all the episodes (and Star Wars stories), bathrobes to dry you off after a shower, lamps so that there is never a dark side in your bedroom and Star Wars jackets and hoodies with and without hoods to be in style when you go to the Mos Eisley Cantina on Tatooine. 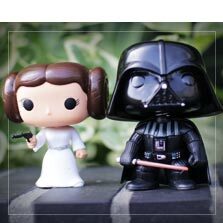 If you want to give a present to that friend of yours that is a Star Wars superfan and you are looking for the perfect Star Wars gift or if you want to treat yourself and buy a Funko Star Wars to add to your collection, you will love our Star Wars merchandise selection. 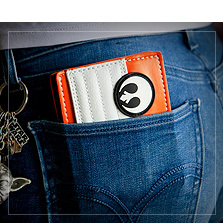 Let yourself be seduced by the power of our Star Wars gifts! 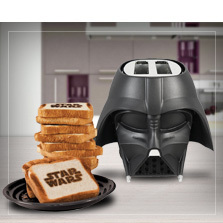 Includes: Electric toaster detailed to look like Star Wars' Death Star, measuring 30 x 26.75 x 21 cm. Extra-wide openings allow for toasting different types of bread. Compact two-slice toaster with cool-touch housing reheat, defrost, and quick stop function. Adjustable thermostat. Removable crumb tray for easy cleaning. Power supply: 120V 60Hz 850W. Includes: Messenger bag with adjustable shoulder strap, spacious internal compartment, fold-over zip cover with pocket secured by two straps and buckles. 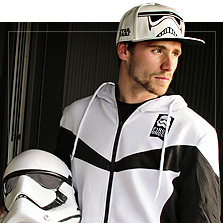 80% polyester and 20% PU. Includes: rucksack measuring 30x40x12 cm. Made of polyester. Includes: Electric waffle maker measuring 19.7 x 24.2 x 8.2 cm. Non-stick finish, wipes clean with a damp cloth. Stainless steel construction. Five temperature settings allow you to make waffles easily and quickly. Indicator light lets you know when waffle is ready. Includes: Electric popcorn machine measuring 31.6 x 23.8 x 23.8 cm. Manual also included. Power supply 120V, 60HZ, 1100W. Includes: rucksack measuring 31x30x10 cm. 60% polyester and 40% EVA. 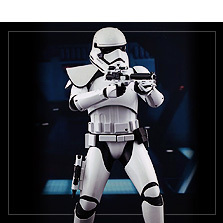 If you get palpitations every time you hear someone breathe deeply, if when you travel by airplane you lean the chair back to be able to reach hyperspeed or if you also think that Han shot first, you need someone to give you a Star Wars present because you are an authentic fan of the most famous galactic saga of all time. 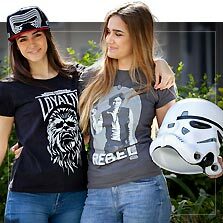 At Funidelia you will find the best selection of Star Wars merchandise and gifts for adults and children: Star Wars T-Shirts, mugs, rucksacks, bathrobes, lamps, socks, key chains, Star Wars hoodies and even Star Wars Funko dolls. 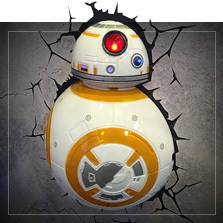 Take a look at our website, choose the Star Wars gift you have always wanted and let yourself be taken by "the dark side of the geek". 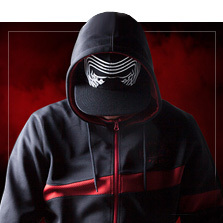 So as you know this Star Wars merchandise is what you have been looking for!